Friends of the Fells needs volunteers to help in a wide variety of ways. Please consider your situation and then follow up in the manner best suited to your interests, skills and availability. Which of the following best describes the volunteer opportunity you’re looking for? I want to help with the most urgent volunteer needs. Thank you so much. While we always need new volunteers in a variety of areas, there are some positions that we could really use help with right now. Friends of the Fells ‘Street Team’ – Friends of the Fells has a critical need to recruit volunteers who can staff our information/merchandise tables at a variety of community events during the year. If you can commit to supporting two weekend events during the year, for a two-hour shift at each, then please get involved! During a typical two-hour shift at one of these events volunteers will engage the public to increase their awareness of the Fells Reservation and any related issues, topics or questions of interest. Additionally you will encourage membership and sell merchandise to benefit the Friends of the Fells. No specific training is required – we will provide you with background information on the Fells Reservation and the Friends of the Fells organization, and will pair you with a more experienced volunteer for ‘on the job’ training. Your friendly and inquisitive manner will do the rest! If you think you may be able to help with this urgent need, please complete our Volunteer Form. Be sure to select “Street Team” from the dropdown list of positions, and indicate any relevant skills and experience under “Additional Information”. Babes in the Woods Hike Leaders and Assistants – Friends of the Fells has a critical need ​to recruit volunteer hike leaders and hike assistants for this extraordinary hike program for young children and families. No specific training or background is required – only a desire to help introduce young children and their families to the outdoors. From 10am-11:30am on Tuesday mornings, you will either lead the hike on a predetermined trail or assist with managing the crowds of families who regularly come out for these wonderful events. If you think you may be able to help with this urgent need, please complete our Volunteer Form. Be sure to select “Babes in the Woods” from the dropdown list of positions, and indicate any relevant skills and experience under “Additional Information”. I'm looking for a one-day volunteer commitment. We appreciate every moment of your time you’re able to donate to the Friends and to the Fells. I like to get my hands dirty. ​If you are an individual or family looking for an opportunity to work outdoors under an experienced leader, please consider joining a Hike ‘n’ Carry or Restoration Hike. You can find out when these events will happen by checking out our Events Calendar. I would prefer to do my part indoors. • Friends of the Fells ‘Street Team’ – Staff tables at various community events to raise awareness about the Fells and the Friends, recruit new members, solicit donations, and sell Friends merchandise (maps, tshirts, etc.). We will always pair new volunteers with experienced Friends participants so you can get the necessary training without having to give any additional time. I'm looking to volunteer on an on-going basis. The Friends of the Fells couldn’t operate with the help of our dedicated on-going volunteers. If you are able to make a consistent commitment of 5 to 10 hours per month for a minimum of 3 to 6 months, please use our Volunteer Interest Form to apply for one of the important positions listed below. I would like to help with membership and fundraising. • Grant Team Member – Research and write grants to support the Friends’ initiatives. Volunteers should have experience in some of these areas: Public outreach, Online research, Grant writing, Community development, Knowledge of corporate and foundation funding sources. • Donor Manager – Manage our relationships to donors, conduct research, analyze giving data and run reports to establish benchmarks and goals, collect and track donor and prospect information, organize correspondence with donors and supporters and establish a donor recognition program. A volunteer should bring excellent organizational and communication skills and experience working with donors. • Major Gifts Coordinator – Identify, cultivate, solicit and steward major gifts prospects in support of the Friends of the Fells annual fund and programs. This position would assist in the planning and execution of all activities necessary to secure gifts which meet the Friends’ fundraising objectives. The volunteer should come with experience working with major donors or a strong desire to learn how this is done. • E-philanthropy Coordinator – Research and recommend web-based fundraising strategies that fit with the Friends’ brand and goals. This position will set some specific targets for new online fundraising sources and work to achieve those targets. The volunteer should come with understanding of social media tools and best practices, quantitative research, analytics and reporting skills. • Corporate Sponsorship Coordinator – Research potential corporate partnerships and work with other members of the development committee to draft a solicitation strategy and supporting materials. A volunteer should come to this position with some past experience and/or contacts with corporate giving departments. • Fundraising Event Coordinator – Plan and implement special events for the purpose of soliciting and/or recognizing significant donations. The coordinator, with support from other volunteers, would solicit sponsorships and coordinate all aspects of event planning and publicity. A volunteer should come to this position with some prior event-planning experience. I would like to help design or lead programming in the Fells. ​• Hike Leader – Lead groups from the public on a variety of experiences in the Fells. Some provide detailed information on the nature (flora, fauna, geology) or history of a specific area. Some lead “work” events to help maintain the trails. Others may lead a group simply for the sake of spending time with other people and enjoying time in nature. Events may target a specific demographic (families, artists, etc) or simply be of general interest to the public. We ask that prospective Hike Leaders attend a brief orientation session and at least one scheduled hike with an experienced leader. • Assistant Hike Leader – Provide additional leadership and support to our regularly scheduled hikes. When a hike is oversubscribed, or attended by hikers of widely varying skills, the assistant hike leader may lead a subgroup on a separate shorter (or longer) route from the main group. • Program Developer (or Program Development Committee Member) – Plan and coordinate periodic lectures on topics of interest to the Fells community. This process would include identifying topics, soliciting speakers and overseeing event logistics. The volunteer(s) should come with event planning experience and some experience with specifically relevant programs. • Trail Adopter – The Fells Trail Adopter Program provides the opportunity for volunteers to take responsibility for regular maintenance on a trail or trail segment within the Middlesex Fells Reservation. There are no formal requirements for the program other than a willingness to take on the responsibility. Basic training is provided for new adopters to ensure that they are capable and confident to perform their work safely and in a manner consistent with DCR policies and guidelines. Click to learn more about the Friends of the Fells Trail Adopter Program. I would like to help with Public Relations, Communications, or Social Media. ​• Newsletter Production Assistant or Layout Specialist – Support our Executive Director in planning, soliciting, editing and laying out the content for our quarterly member newsletter. Experience or training in editing would be especially helpful for the Production Assistant position, and Layout Specialist applicants should be familiar with Adobe InDesign. • Public Relations Coordinator – Work with the Friends of the Fells and our press contacts to ensure that the Fells Reservation and the Friends of the Fells are positively portrayed in a variety of local news media on a continuous basis, in support of programs and advocacy efforts. The PR Coordinator should bring experience and/or training in the field of public relations. • Events Calendar Distributor – Support production of our printed events calendar each month or quarter, and ensure placement of the calendar in a variety of venues such as libraries and coffee shops in surrounding communities. This task is completed by committee, so new Distributors are always welcome to help divide the work. • Website/Social Media Assistant – Update content on the Friends of the Fells website or social media accounts. Support occasional projects to improve the Friends of the Fells online presence. Experience with social media marketing, web design, and/or WordPress would be especially helpful. I'm looking for volunteer opportunities for my club or group. As a membership organization ourselves, the Friends of the Fells understand the value in bringing people together to pursue a common goal. 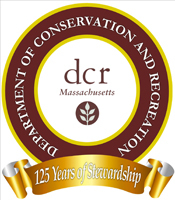 Friends of the Fells coordinates with DCR staff to host groups of 5-25 volunteers from local organizations interested in performing a day of service in the Fells. Group work days may include cleanup, invasives removal, trail improvements, trail closures, or other needed projects. We would love to help you schedule a volunteer workday for your organization. Due to the time required for planning and permitting, we ask that you try to provide at least 4 weeks advance notice when requesting a group opportunity. You can use the Volunteer Interest Form to describe your group’s interest and availability, or send us any inquiries through our Contact Page. We can’t wait to see the contribution your group could make to our important mission of protecting and preserving the Middlesex Fells! If you’re not sure, or you want to help with something else that isn’t listed here, feel to use either our Contact Page or Volunteer Sign-Up Form below to ask any questions or share with us how you think you could help the Friends and the Fells. The Friends of the Fells thank you for your support – we couldn’t do this without you!